Homeschool opportunities include job, missions and volunteer positions; ongoing classes; summer activities; competitions and contests; library programs; and area educational opportunities. NOTE: The MPE Board of Directors does not necessarily endorse any of the organizations or people offering these opportunities. Christian Youth in Action (CYIA): Local summer missions opportunity for youth 12-18. CYIA is the summer missions program of Child Evangelism Fellowship (CEF). For more information, please contact the Greater Kansas City local director Christy Heath at (816) 358-1138. Athletics Testing Solutions – the ATS Heart Check can help detect congenital heart problems & abnormalities that do not show up during a regular checkup or sports physical. LEGO Education Workshops – homeschool families only need to book a workshop 2 weeks in advance to attend. New Facebook group for Louisburg homeschoolers! The Homeschool Hookup – a Christian homeschool Facebook group in Kansas with weekly Park Days, Mom’s Nights Out, monthly field trips, holiday parties, family picnics and more. Paradise Park (Lee’s Summit, MO) Special! Creative Communications’ contests in poetry, essay and art. Gardening with Kids offers free how-to guides and activity ideas with gardening as a focus for families and educators. Sustainable Landscaping, Composting and Going Green Outdoors – This resource was suggested by a fifth-grader for other homeschoolers. Thanks so much! Heart of America Shakespeare Festival offers year-round theatre/acting workshops with weekend classes for ages 8 and up. K-State EXCITE! (EXploring sCIence, Technology and Engineering!) 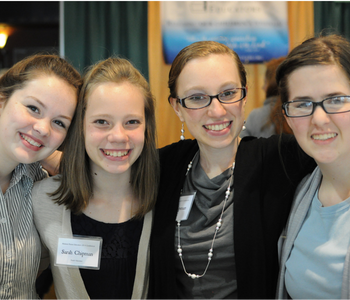 program for girls in 9th – 12th grades! K-State GROW (Girls Researching Our World) program for girls in 6th – 8th grades who want to pursue a future in science, technology, engineering & mathematics.